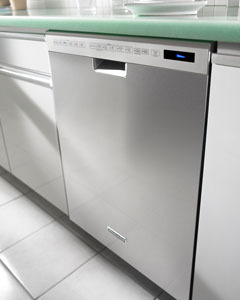 KItchenaid repair center are your resource for Kitchenaid appliance repair of all kinds, from dishwasher to refrigerator repair. We are factory-trained, licensed, insured, certified, high level professionals. Our technicians carry all tools and parts on their truck so repairs can be done same day. Each has gone through extensive training and received certification in repairing Kitchenaid appliances. Kitchenaid service center technicians use only new, original parts on all repairs. If the part installed fails during your warranty period, simply give us a call! We will quickly dispatch a technician to replace the defective parts at no charge! 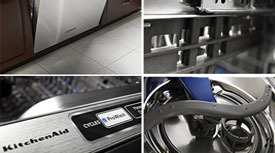 At Kitchenaid repair center, customers satisfaction is our top concern. We always stand by our work. From one to five years warranty on parts and 90 days warranty on any labor. 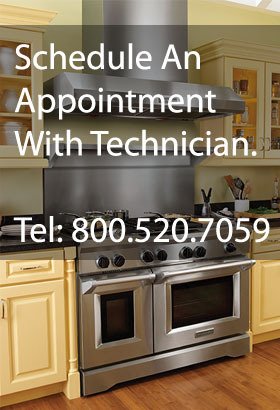 We are located in the Los Angeles area and specializing in Kitchenaid Appliance Repair. We offer superior customer service, convenient scheduling with 2-hour windows, competitive prices, warranty on parts and labor and different payment options.